Battle Rounds on “The Voice” wrapped up Tuesday, but it was what wasn’t shown that had fans talking. While some matchups were entirely displayed (like Team Kelly’s Sarah Grace defeating Erika Zade), other performances [were] shown only as part of a montage. During Tuesday’s episode, Team Kelly’s Claire DeJean triumphed over Josh Davis, Kirk Jay beat Caeland Garner to continue on with Team Blake, and Kennedy Holmes defeated Lela to stay on Jennifer Hudson’s team. However, fans only saw a trimmed-down clip from each battle. 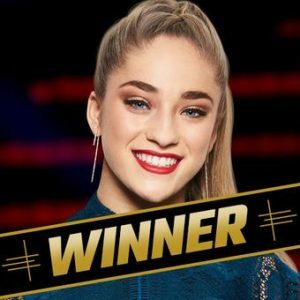 @MattVernier said Holmes “deserved more,” referencing her 4-chair turn performance during Blind Auditions. Three battles were shown in full length Tuesday. Taking the stage first were Zade and Grace from Team Kelly, singing “No Roots” by Alice Merton. Clarkson chose Grace as the winner. Next, Team Blake’s Kameron Marlowe and Kayley Hill sang “I Only Wanna Be With You” by Hootie and the Blowfish. In the end, Marlowe moved on to the next round. Lastly, Deandre Nico and Funsho from Team Adam performed “Can You Stand the Rain” by New Edition. Levine chose Nico to stay on his team, but Funsho is not out of the competition. Shelton used the last remaining steal of the battle round to bring Funsho to his team. “The Voice” will continue Monday at 8 EDT/PDT on NBC with the knockouts round.